Commencing the festivities in 2017, LEGOLAND® Malaysia Resort (LLMR) ushers in the auspicious Lunar New Year (LNY) celebrations with lots of fun-filled activities in store for the entire family. Placing the importance of play at the core of all activities designed for its guests, the exclusive LNY attractions provide its visitors an environment to demonstrate creativity; whilst encouraging them to spend some quality family time. Beyond building lasting memories, the simple act of playing together fosters family bonding. After all, families who play together, stick together. Through LEGO® and the gift of play it brings, make this LNY even more special by upgrading the act of giving Ang Pow, to gifting with LEGO Bricks®. The act of play connects families with the true values of the LNY – which mainly emphasizes on unity and togetherness. 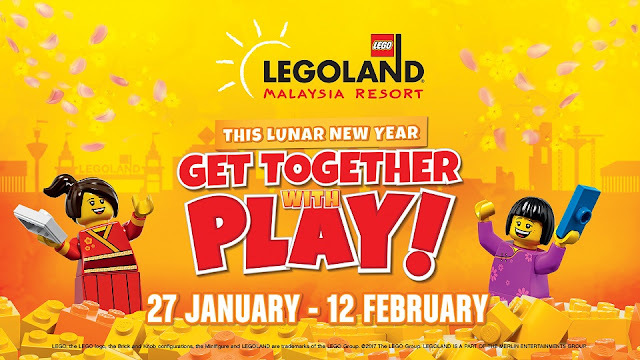 This festive season, be sure to make new memories and bond over quality family time through our various LEGO® Rooster LNY themed activities, exclusively at LEGOLAND® Malaysia Resort. 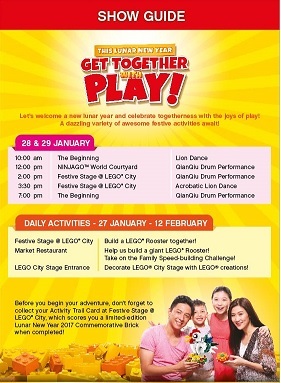 With all these exciting attractions, LEGOLAND® Malaysia Resort has an exclusively tailored promotion for the LNY celebrations. For further information on promotions and activities, visit LEGOLAND® Malaysia Resort’s official website www.legoland.com.my and stay connected with the resort via social handles (Facebook & Twitter) to find out more on the Lunar New Year activities, the resort’s latest attractions and promotions.